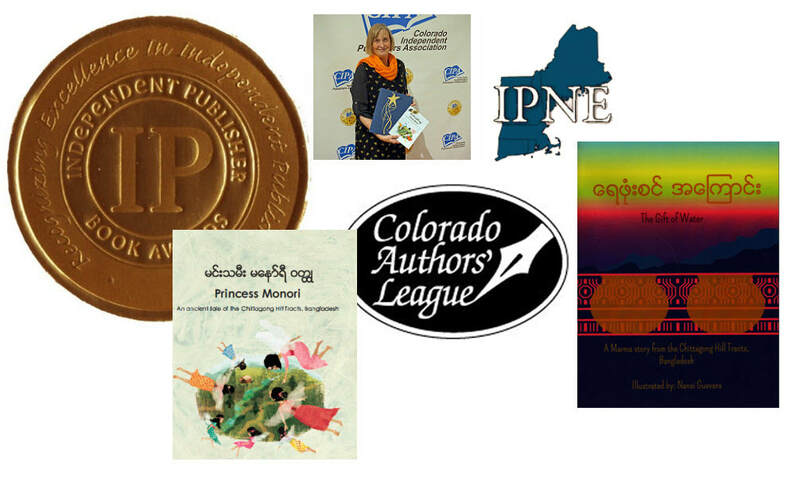 Our Golden Hour is a nonprofit that works with indigenous peoples in support of endangered languages and cultures through education and native-language books. For the last five years, I've been lucky to work with Our Golden Hour, a non-profit that works with indigenous peoples to help preserve ancient languages, alphabets, and cultures. I have the exciting opportunity to retell ancient folktales of indigenous peoples, and publish them as illustrated stories for children. We are currently helping the indigenous peoples of the Chittagong Hill Tracts, a beautiful mountainous area in Bangladesh that extends into surrounding countries. Maung Nyeu, the group's executive director, has started native language schools in the region, so that children can learn in their native tongue. He also works with schools in the region, furthering teacher development. He is currently working on a PhD at the Harvard graduate school of education, and is helping bring contemporary teaching methods to this region. In conjunction with the schools, Maung Nyeu recognized that the indigenous children in this area have no children's books written in their native languages. He began collecting ancient folktales, and we are publishing these as illustrated stories, in two or more languages--the native language, such as Marma and Mro, along with English and sometimes Bangla. I love to take the ancient stories from their oral tradition into a written narrative, working closely with Maung and with the children of the region. Please visit www.ourgoldenhour.org, where you can learn more, buy books, volunteer, donate to Our Golden Hour, and sign up for the newsletter.